Rio Grill opened during 1989. This business has been closed since before 2004. 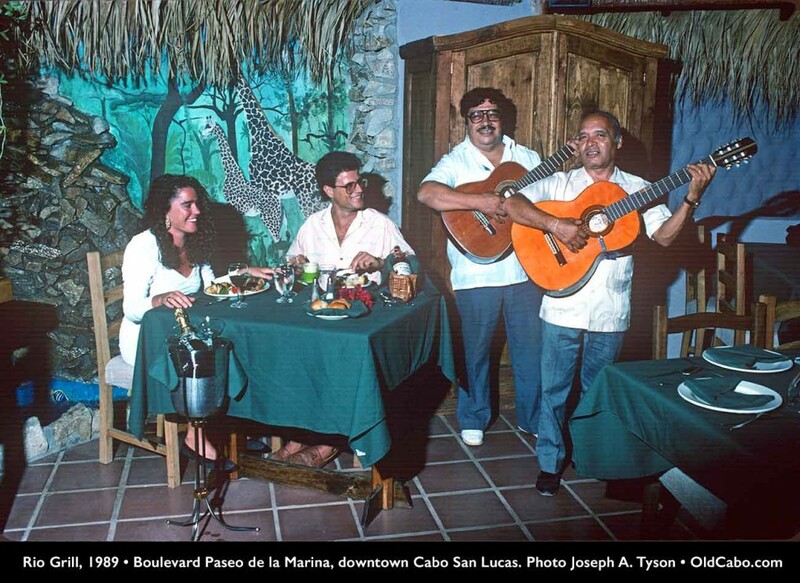 There was a 25 year reunion celebration in Cabo on March 27, 2015. Excerpt from Los Cabos Magazine issue 5, 1997-98. If your middle name is Party!, there are any number of locations to hit after the beach, and Rio Grill is among the best. 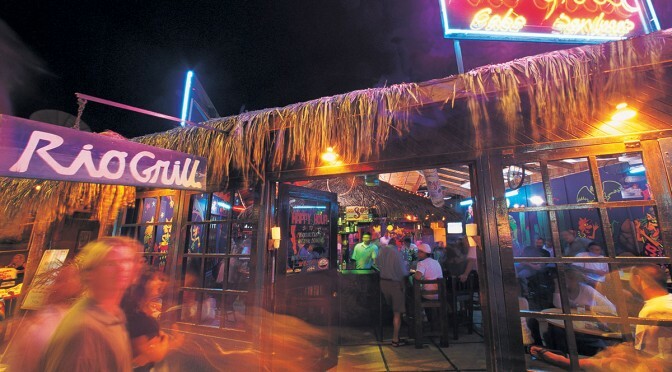 This bar and restaurant is a favorite hangout offering great soft rock, reggae and a live band for most of the year. The marathon four-hour happy hour, starting at 4:00 p.m. could spell trouble, but they wisely provide free munchies. Don’t be surprised if the waiters swing the ladies at your table into a quick salsa. 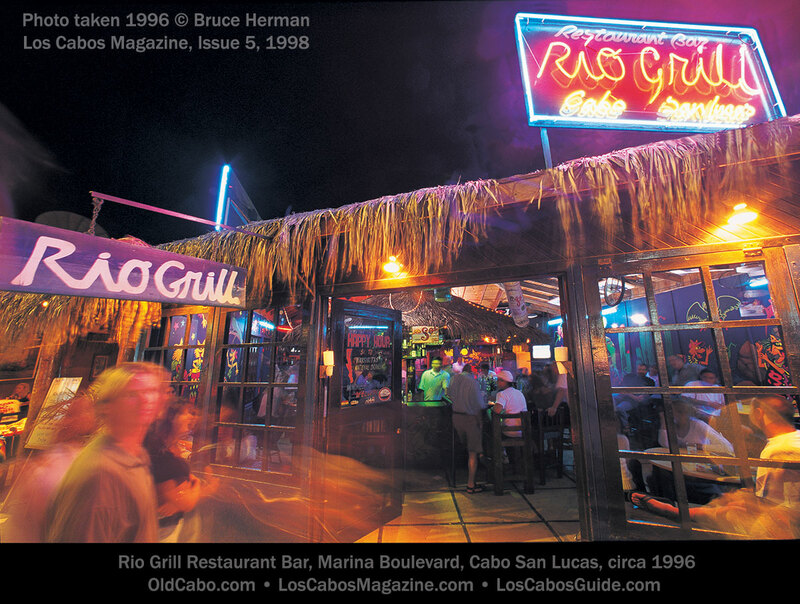 Larger than it appears, the Rio Grill features a big open patio and a sheltered dining under a palapa roof, in addition to the covered bar area.